iCognise is our Investor Awareness Program that helps advisers educate their current and potential clients thereby ensuring a 360° growth to all its stakeholders. Gaining the customer's trust is of paramount importance to an adviser. The iCognise program aims to bridge the gap between you and your customers to ensure a smooth, seamless and successful relationship between you and your clients. The iNsure initiative revolves around safeguarding our Financial Adviser's practice and revenues. An initiative to enhance your knowledge and skills to help you scale up your practices to the next level. With iLearn, you can get access to some of the top notch goal centric educational courses and certifications from reputed institutions at a special rate. A monthly engagement to understand where we stand as a team and the way forward. The iEvolve program consists of key partners of iFAST attending meet up sessions at the Fund House in their respective locations. It also consists of virtual meetings with Fund Managers connected through a conference call every first week of the month. With the iPrentice program your vision of creating a company with likeminded partners can be realized thereby taking your practices to the next level. 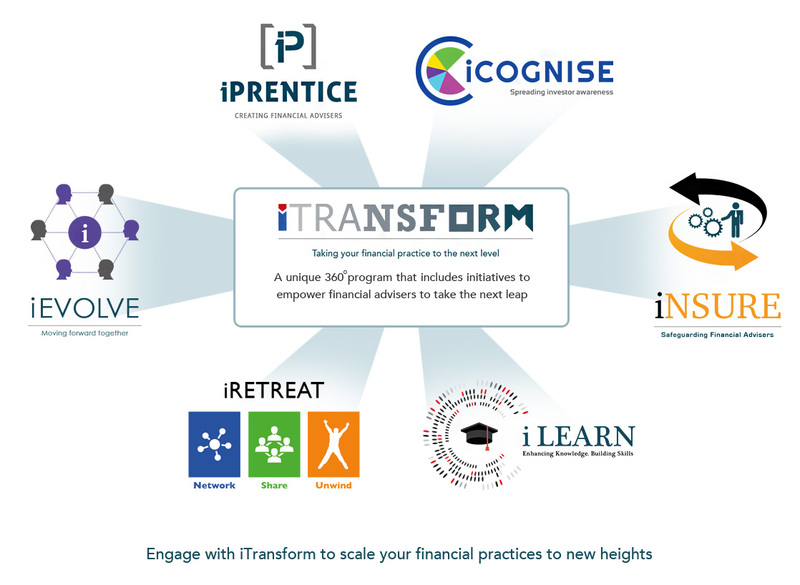 The iPrentice program works towards creating new financial advisers in the country. The first IGWAS held in 2011 in Switzerland provided an opportunity to understand how the country has developed itself into one of the world's top wealth management centres. IGWAS 2012 was held in the US and it gave wealth advisers the opportunity to hear first-hand how the independent Registered Investment Advisers in the US have been growing their presence in the high net worth market ahead of the traditional players such as the investment banks and private banks. Greece was the destination for the third IGWAS 2014 and Poland for the fourth IGWAS in 2015. The iFAST Wrap Summit is an annual gathering of key fee-based advisers on our platform. It is a retreat organized to share knowledge, industry updates, network and precipitate growth to all the stakeholders by bringing in the best local and international speakers, conducting highly informative presentations, training sessions, workshops and panel discussions. The first ever Wrap Summit was held in 2013 and the number of key advisers joining this summit have been increasing every year since. Our position as the leading platform gives advisers direct access to the fund houses. This means that we are able to organize fund presentations and training by the fund managers.